Your business has IT needs and it’s not always cost-effective to handle everything in-house. You want a good relationship with an IT company you can trust, like I Divide By Zero that can come on-site and work for your company. IDBZ can handle all aspects of your IT needs. From hardware setup as simple as wiring and small network installations, to office desktop rollouts, to large server setup and migrations, to the eventual decommissioning and replacement of aging IT hardware. We also offer our classic remote and onsite IT support, to make sure that your company runs smoothly from day-to-day. We provide complete backup services as in depth as your company’s needs require, from simple file server backups, to complete offsite virtual environment disaster recovery and duplication. All of our primary services are listed below. Not seeing something you need, or seeing everything you need and ready to get started? Send us a message. We can assist in migrating your physical servers into virtual file systems using VMWare ESXi. There are many advantages to virtualization including redundancy, full server image backups, hardware independence, disaster recovery and most notably, lower total hardware costs. If your existing hardware is aging, let’s talk about migration to a virtual environment. Virtualized servers are set up like a filing cabinet. With traditional servers, you have one ‘drawer’ in your filing cabinet that’s mostly empty with no easy fail-safe. Using virtual machines, you have multiple ‘drawers’ that can be taken out, copied, and interact with each other. If one of the ‘drawers’ fails, you can have a copy somewhere else that can be restored or even moved to another filing cabinet. You can be up minutes after a data crash, rather than hours or days. Another advantage is that virtualization can also be used for Microsoft development or test environments. Rather than having to purchase a new physical server, which can add time, cost, and headaches, you can spin up a new image on one of your virtual machines and get to work. This new image can even be a copy of an existing server. With regular backups, you can even revert to an earlier iteration of your image without hassle. Ready to make server maintenance headache-free? Contact us and let’s get virtualized. Have you ever had something you’ve deleted and not been able to get back? It’s the worst feeling in the world. Having a regular backup system for your workstations and servers is not only a good idea, it’s essential to your business (and your sanity). We can work with your environment whether you’re running Macs, PCs, or both. We use multiple types of software to maintain backups from your laptops, desktops, and servers. These can be set to run on a schedule, or continuously, to make sure you always have your data available. The data is broken down and encrypted before ever being sent to our redundant and secure off-site locations. If you lose a file or the computer gets run over by a truck, you can retrieve the data without even having to call us. For a large scale disaster, we can even mirror your existing data to another server, and have it to you ASAP, reducing downtime. You can recover, and get back to work. Want to protect your data? Contact us and get going with data backups. We provide Remote Hands services as well, for those client that have equipment at regional data centers, but are not convenient for local company access. We can install, upgrade, reconfigure, or perform maintenance as you require, even in secure locations. 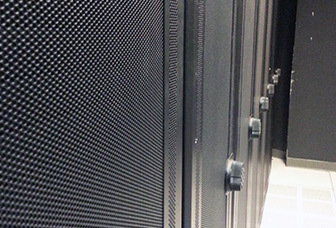 This service is for large companies or corporations that require their own server racks with data spread across the country, and for Content Delivery Network (CDN) providers. 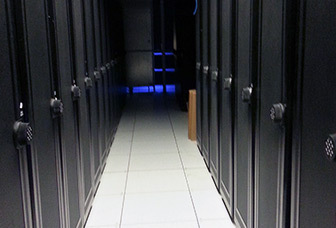 If you’re looking to get into hosting offsite equipment at a data center, we can help! The process of moving or upgrading from one office to another can be tedious, so make it easy on yourself and let us handle your entire infrastructure setup. Our team will spec out your location, wire the entire space for your needs, and make your IT transition smooth. We install copper (Cat3/Cat5/Cat6/Coax) and fiber optic (Singlemode/Multimode) runs, as well as wireless access points as needed. 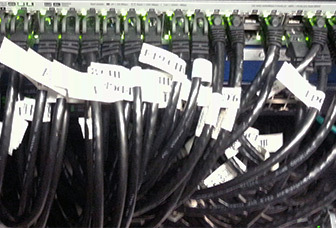 We also handle wiring on a case-by-case basis. If you’re looking to add a new office, wiring closet, or server room, we can expand your existing network to match. If you’re adding or expanding your CCTV camera security network, we can run lines and install cameras as you require. Even complex fiber optic work is no problem. We can handle whatever small or large wiring tasks you have and do it in a way that makes it look easy and your network look seamless. Ready to grow? Contact us for wiring services. We repair hardware as well. When your PC stops working or you drop your Macbook and break the screen, we can fix it or replace it for you. 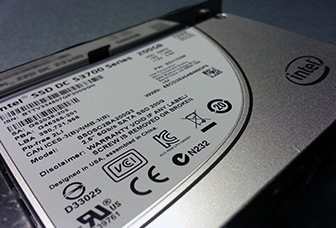 In conjunction with our data backup service, you’ll never have to worry about damaged hardware breaking your business. Spilled coffee on your Macbook? Contact us and let’s get that repaired!